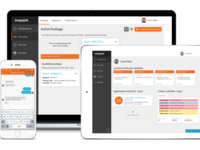 Snagajob's self-service recruiting, scheduling and team messaging solution is specifically designed for the unique needs of restaurant, retail and hospitality organizations with 1-100 employees. 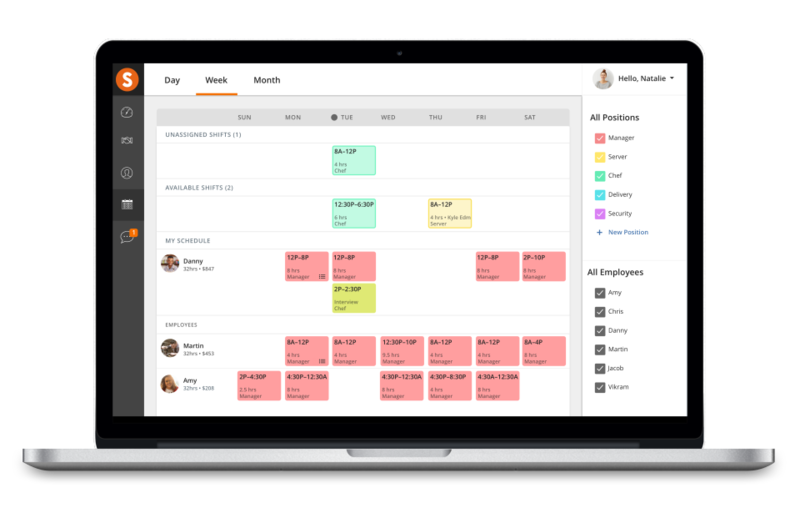 Snagajob is the largest network of restaurant, retail and hospitality hourly workers and employers. 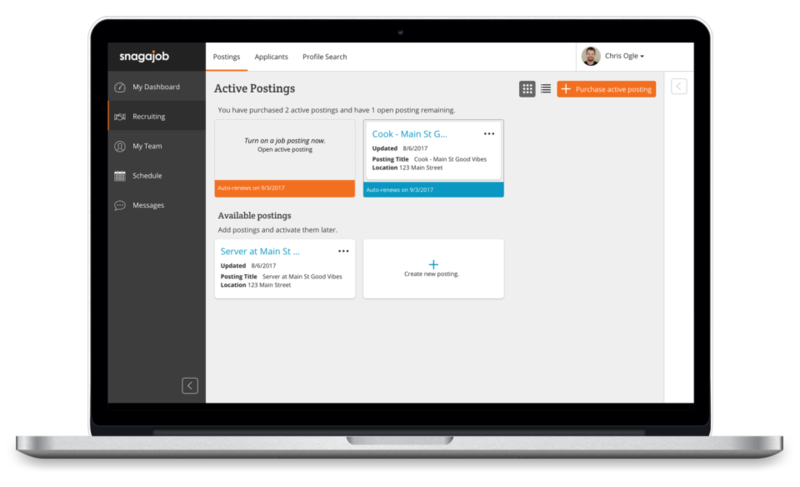 Manage your job postings, invite active job seekers to apply, and review applicants all in one place. 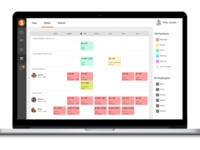 Plus, included with your job postings, you can create and publish team schedules in less than 10 minutes, easily manage shift swaps from any device, and empower your teams with instant messaging. Enterprise workforce solutions are also available through contacting Snagajob Sales. Need a job? Go snag one. Pros: I like the fact it has an ever growing database of employer's, five years ago, only a few company's had been using it. Now we have big names scattered throughout twenty plus different categories. If you set up your account properly, a lot of the legwork gets taken out of the applications(no more constant resume uploading, and employment history verification. Snag has legitimately put access to hundreds if not thousands of jobs, ranging from entry-level to CFO position, at the palm of your hand. Snag is constantly updating it's database and updating how your data is transferred and applied via the easy apply function, one-touch apply. The best job searching and job procurement application of the decade. Cons: Only thing that frustrated me was seeing the same Sponsored posts, everyday while looking for a job. Overall: Over the last five years, I have used snag to procure a job at least six times. It helped me find a source of income rather quickly and with no real hassle advertised me jobs based on my resume that I never even would have thought to apply, but because your resume matches this job. I have applied and put my self out there to gain new employment and this application never lets me down. 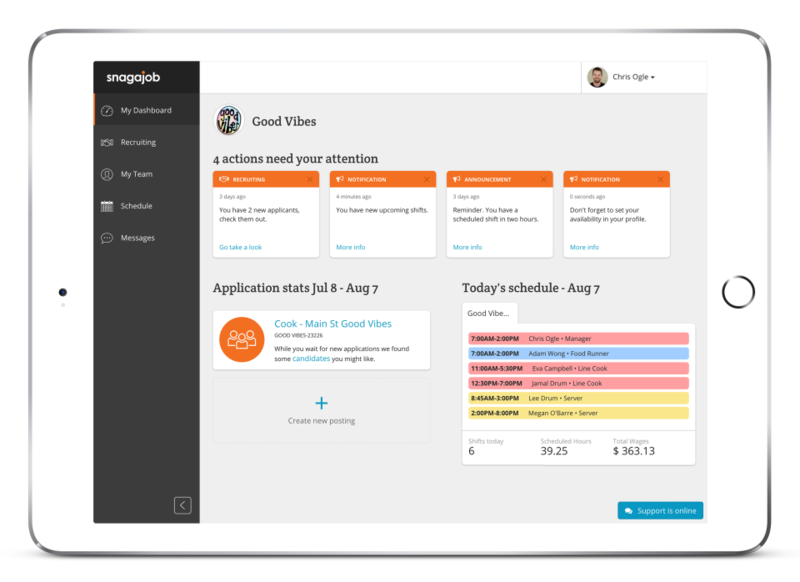 Pros: Flexibility, job alerts, and feedback is provided in Snagajob. This site is amazing and works great for individuals who are looking for a full-time or part-time job. 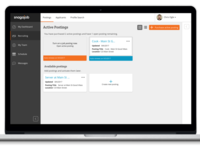 It was built as user-friendly, print job announcements, and receive emails alerts. Cons: Too many jobs alerts being received, most of them tend to be duplicates and not the potential jobs I'm interested. Jobs are hard to find and too many competition for low paid jobs are available. Overall: I've been using this site for many years and can't believe it still exists. Longevity for this site means that it is still serving its functionality. Thanks, Alicia. We've been around for a while, and aren't going anywhere anytime soon! You can manage your job alert settings in your profile on snagajob.com, and using our mobile app, you can save the searches you want and get notified when something pops-up. My managers and I use this product daily in conjunction with Talentreef to view applicants. Pros: It seems accessible and easy to use for applicants. Managers find it easy to navigate and understand. Getting started with the product and customizing for specific needs is simple. Cons: There doesn't seem to be enough relevant (translate to quality) applicants coming from this product to justify using it on a regular basis. Even with added investment, there does not seem to be a way to rise above other companies to increase the frequency of applicants. Overall: This software has the ability to increase the number of applicants for your business. It is simple enough to navigate and customize for your business. Compared to related products out there, this one is fairly inexpensive. If you are looking for a few new hires, then I would recommend it. For larger scale jobs, I would look at some of the competition. Pros: The simplicity of use and built in tracker with personality meter is great. Takes the time away from judging whether a person is fit for your company. Built in E-Verify tool really helps as a one stop shop to on-board people. Uploading document eliminates the usage of paper-files. Truly a paper reducing process and software. Cons: Originally I was not a big fan of the user interface but the new version is more sleek and more user friendly. The process flow can definitely use some more improvement. It can get very confusing for a new user. Overall: I absolutely love this platform. It fits perfectly with my needs to on-board new team members and keeps all employment related documents in once place. Pros: We receive an email each time a new applicant has applied. The emails gives you a brief synopsis of the applicant (name, date applied, position applied for, location applied at, contact info), giving you the option to further pursue or not. Cons: I'd like to see a "knock-out" or "weed-out" factor built in to it. Do the initial vetting for us, if we know they aren't going to meet our needs. Thanks for your review, Victoria. To your suggestion on vetting candidates, we are working on a feature that matches candidate profiles to the qualifications required at the job posting level. We will let you know when this is ready! Complete hiring, recruiting, and employee file host for business. Pros: Quickly hire and complete all necessary paperwork for employment. Quickly puts employee thought E verify. All handbook and employee documents can be electronically signed. Cons: Some applicants would are less tech savvy struggle to apply. While it is easy and can be done on a mobile device not all have access. Thanks for your feedback, Blaine! We love BWW and are happy that you've automated your recruitment marketing, recruiting and onboarding with us. We are always working on making our apply process easier for workers, so thanks for that feedback. Cons: I did not find snagajob helpful to our company. I found that I wasted more time reviewing, calling and interviewing candidates that did were not the right fit. I felt that overall for the price, it was not worth it to continue paying for software we weren't using. Has been a good experience using the software but haven't had huge success. Pros: It's super simple to use, you cancel when you want. Cancellation is straight forward, not scammy like some monthly services. Software and website itself if exactly what it needs to be, easy spots to make notes if you want. Cons: The quality of candidates doesn't seem to be the highest. For some reason 90% of people never answer the phone or actually come in for interviews. It's been this way for 2+ years in my experience. Overall: We did hire a handful of candidates from this program, however it's probably not the best quality candidates that have to be out there. But in comparison of price it might still be worth the weeding through people. Thanks for your feedback, Courtney. In this tight labor market, we agree that engaging with candidates in a way that encourages them to show up to interviews is a huge opportunity. 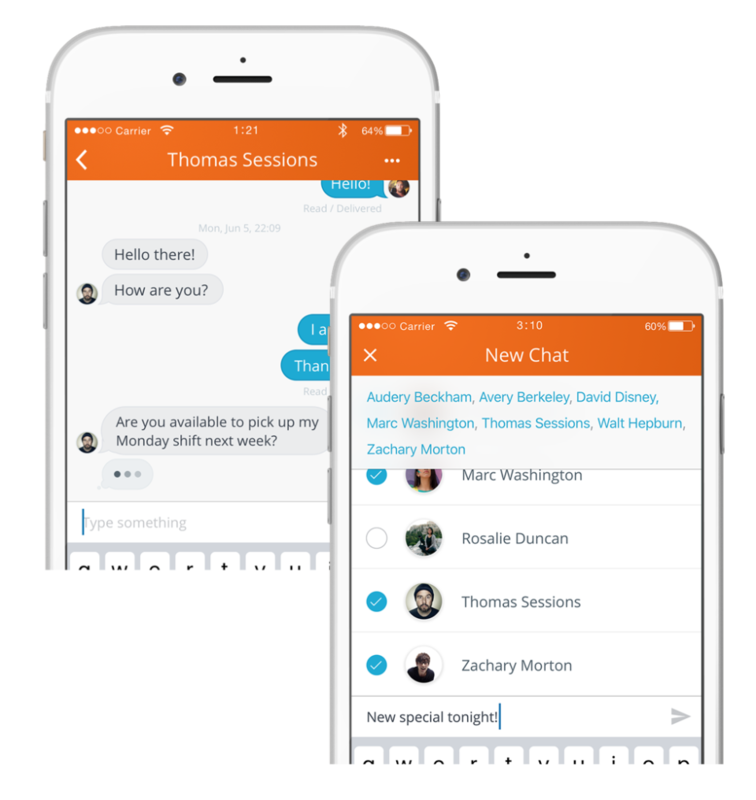 We are working on an interview scheduling product that engages through text messaging to address that opportunity. Pros: I like that I can customize the questions on the application. I also like that I can easily process the applications on the website or using email. Cons: I have some applicants complain about the length of the application and the number of advertisements they see. I also get applicants from 14 year olds all over the country just because there aren't that many businesses out there accepting applications from kids that age. I wish they would weed those out for me. Overall: Ease of receiving applications online with the questions asked that I want to know in the order I want them asked. Hi Paul, thanks for your review. Screening candidates based on qualifications is in our product strategy. So is removing ads, at least ones that workers find unfavorable! We appreciate your business. Pros: I like the number of listings that are available on Snagajob, and enjoy the easy searchability. There is always something there which is relevant to your needs. For a job searcher, its a great place to look, and comes in handy if you are looking for something specific. Thanks for your review, Tracy. We are happy to hear that you've had success in your job search. We also like the idea on filtering by date posted. We recently added "Urgently Hiring" and "1-Click Apply" so check those out! Pros: The Snag feature we appreciate the most is the auto-completion of employee paperwork. This saves payroll a lot of time with having completed paperwork for employees before they are even hired. It does mean the application process is long for a candidate and that turns some employees off, but the motivated ones will persevere and that might be who you want to hire anyway! Cons: The time is takes to set up a new account is exceptionally long. There is a lot of paperwork that has to go back and forth, so plan on it taking 4-6 weeks before your account is up and running even if you are just adding a new location to an existing account and you open more stores. 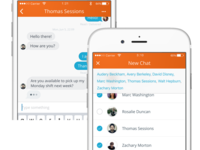 Overall: Snag has not historically been great at account customer service. They do not always follow up in a timely manner or different people handling your account don't remember the processes that have been put in place. It makes sense if you have a lot of hires over a year, but might not be worth the trouble if you only hire a few people every year. Pros: Everything. Very organized. I always get hired from Snag. Cons: Nothing. You guys are always on point. I don't get a shitload of emails from unimportant things. Snagajob is a great place to look if you are looking for work! Pros: The site is very easy to use. You can upload your resume and even take a test that determines some of your stronger skills. Matches you up to the field you are looking into! I love their mobile app!! Cons: Some of the applications take you to the actual site to finish the application wish there was a way to do it right from the Snagajob app or site. But it's still a great tool!!! Overall: I actually found work trough the app back in 2008! Eduardo, thanks for your feedback! Check out our 1-Click Apply jobs, they are the easiest and don't take you off the Snag site. Pros: Snagajob sends us a significant percentage of our job applicants who are applying for the position of Caregiver. Cons: I really have nothing negative to say, other than I wish they would send us more applicants in the future. Overall: I work in our HR department and peruse many of the employment applications that come through our office for the position of Caregiver. On the application it specifically asks the applicant who referred them to us. Snagajob appears frequently on these applications and is one of the leading sources for new applicants. I used this software to recruit employees for my company. Pros: This software has helped me recruit talent from areas where it is particularly hard to find interest for minimum wage work. Cons: The price is steep, and it's priced per 'slot,' so it can be difficult if you need to hire for multiple locations. It helped get me my first job! Pros: Lots of different jobs to choose from. I did receive a few different calls from potential jobs. Also, got a few interviews from the website. Cons: I have received a lot of spam calls after submitting my phone number to their website. Seems like some of the jobs are older listings. Thanks, Jake! Glad you had success with Snag. We have officially stopped co-promoting our services with the services of 3rd parties. It's all about the job seeker's journey now. Why snag a job is great? Pros: It is easy to use. you don't have to be a member, but if you are, it makes it that much easier to apply for jobs. There one click apply option makes the process much easier and makes you feel like you are getting more work done. Cons: The calls about education can get quite annoying. Overall: it is fast and reliable. I have never had a problem with getting a job through snag a job. it is a site i know i can go on and find a great job in my area. I used Snag-a-Job for restaurant recruiting and on-boarding for 1-2 years. Pros: I liked this software's simple design and easy navigation. It was not difficult to learn how to use the software and it was very fast and easy to train other people to manage it. 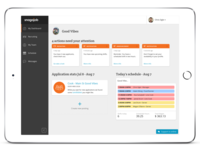 The on-boarding feature was a good hiring tool that helped us manage paperwork with relative ease. Cons: I didn't like how there were very few options when it comes to customization of your profile. We were unable to configure our Snag-a-Job page to include the content and aesthetic that we were looking for. Overall: It helped us recruit and on-board all in one place. Cons: Honestly, I can't think of any that I have personally encountered, while staff has complained about MINOR things, I'm happy with it. Thanks, Jonathan! Happy to automate your hiring process for you. We appreciate your business. Pros: It is similar enough to other job search sites that you can figure out how to use it. You are given the necessary features to narrow down your search to what you are looking for. Cons: They have gone through a lot of changes recently and each time you have to relearn something. Pros: User friendly, especially for those who need help building a resume. This site has everything, tutorial, resume samples, and anyone can get job alert notification via email. Cons: Not many great jobs available, it serves it's purpose but hard to stand out. Most job announcements are duplicate and simple with a lower salary opportunity. Overall: I like using this software to help me built a better resume, navigate job flexibility and get job alerts. Thanks for your feedback, Maria. Snag is a great place to find restaurant, retail and hospitality jobs. New employers are added every day! Great! we use it for a lot of our companies and its awesome! Pros: easy to use. it makes life super easy when it comes to applicant and employee information and paperwork tracking. i would highly recommend. no paper needed. access from anywhere. Pros: It was quick to apply to jobs on my laptop. There are lots of different job postings in a wide variety of areas. Cons: Lots of ads and redirects. Difficult to use on mobile browser. Wasted a long time looking at jobs I did not qualify for. Thanks, Dylan. We are working on removing ads from our experience and are also building qualifications into the job posting so that you can have a better match in your job search. 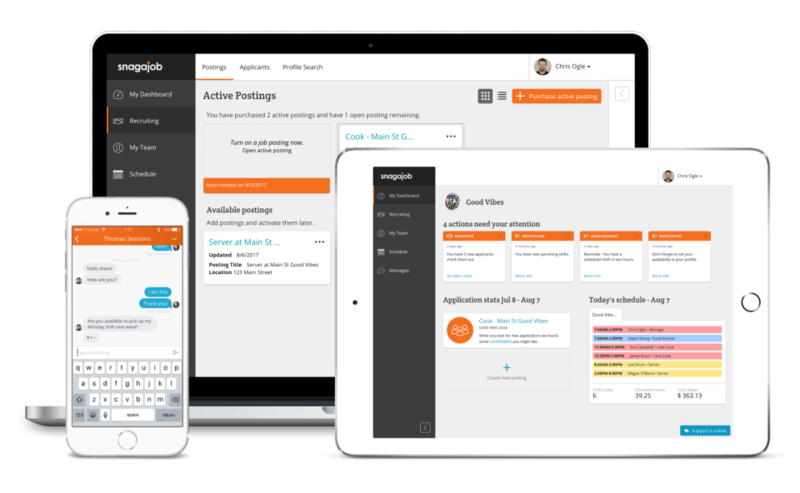 Pros: Snagajob makes it easy to customize your job search. Cons: There are sometimes multiple job listing for one business that seem to clog the site. Overall: Overall, Snagajob is a great site when searching for employment. Very easy to use app. You can apply quickly to multiple jobs. Pros: Easy to use on multiple platforms. You can apply quickly from your mobile device. It has a huge variety of jobs and industries. Cons: The app tends to freeze, and kicks you out often. All of the ads makes it difficult to navigate at times. Pros: None. This is an absolute waste of money. Cons: They take your money, do not provide any metrics or results, and lock you into a auto renewing contract. Overall: Terrible results and service. If you need a job, use this app! Pros: Snagajob landed me with one of my first jobs when I first started using this app. Its very easy to use and maintains a collection of job interest and jobs that you've applied for. Cons: There are complaints about using this app other than the fact that I wish more local employers would connect with them. I used Snagajob to search for available job openings in my city. Pros: I liked how easy it was to fill out applications, being that they remember your information and you can publish it in one click. It's a breeze to check applications and my manage profile. This platform also shows when your resume has been reviewed. There are many options to filter the search, such as choosing multiple cities and industries simultaneously, which saved me time. Cons: I didn't like that there were not any new job postings. Always seem to be the same listings posted and most of the job openings that come up in search were low quality (2-3 stars) and 30+ days old. Pros: It has a vast variety of job opportunities. Cons: I have no complaints. I've been hired from here several times. Cons: Lots of spam to email but it's fixable..
Pros: It's simple to use. I can be able to breeze through the website with ease. Cons: The website is outdated. Also, don't get enough good leads from this site. Not a fan of Snagajob due to the ads posted everywhere! Pros: The only thing I enjoyed about snag a job was that all of the job postings were quick apply. It was easy but kept asking myself if employers actually are reviewing the quick apply applications. Cons: There is WAY to many ads on this site and everything you click on takes you somewhere you don't want to be. It will redirect you to another platform and when you try to click out or exit, it freezes on you. Not a fan..
Pros: I did like that this job hub focused on local, hourly positions. Cons: The options seems to be too broad and not actual job postings but just employers that hire. Pros: This is so easy to use! I can organize all of the candidates and applicants and even send applicants to different departments if I think they would be a better fit there! Cons: I think it is really well organized, so that is really helpful. I do wish that the notes about the candidate were more clearly laid out.